Soft and Glowing skin. I want it. And I have to work for it. Happily, there are fantastic overnight face and body treatments that do some of the work for me, while I sleep! Night time is the right time to give my complexion some extra tender. loving care thanks to these easy to use skin care products. Exfoliation is one of the best treatments I can do. It clears away dead, dry, loose skin cells and leaves my skin ultra soft, smooth and ready to receive and drink up the hydration to come. I use a one-two approach to exfoliation, chemical and physical. One of the chemical exfoliants I rely on is Derma E Overnight Peel with Alpha Hydroxy Acids. Derived from sugar cane and fruit acids, this gentle 5% concentration sinks into my skin and, while I'm dreaming sweet dreams, lifts away the gunky, old skin cells and, upon cleansing in the morning, reveals a glowing, fresh complexion. While this treatment is easy on the skin, if you are sensitive or your complexion is under a dermatologist's care, test first and go in slowly. My skin is used to acid treatment and I can use this as often as I please without worrying about it. When it is time to drive hydration into my skin, overnight treatments are my play. For my eye area, VII Code Oxygen Eye Mask is amazing. After I cleanse and tone, I apply these to my under eye area where they stick on and stay put until I rise and shine, the next morning. The difference in the skin under my eyes is marked! Softer, smoother, even silky with reduced appearance of lines. I don't use these all of the time because they are spendy! But when my eye area needs that extra love, these eye masks deliver. They stay in place very nicely for me because I sleep on my back, like a vampire. Another spendy but oh-so-good! overnight skin pampering treat is the Exuviance Overnight Recovery Masque. This gel is a long, cool, refreshing drink for my Sahara Desert dry skin. After cleaning and toner, I smooth this gently into my skin then I let it sit a bit and follow up with a rich night cream and lights out. In the A.M. my complexion looks and feels soft, plumped and glow-y. If your skin is dry, stressed and unhappy, try this. I think that you'd love it! While not specifically an overnight treatment, I never drop off into Dreamland without a generous coating of a deeply hydrating lip balm. I'm just using up my Lather Sugar Plum lip balm from the holiday collection, I'm going to need to need a new Lip Conditioning Balm. Packed with Avocado, Sweet Almond and Evening Primrose Oils, Cactus and Aloe Extracts this lovely stuff is one of the few "natural" lip balms that actually works for my very finicky lips. As I get older, I find that my sleep patterns getting more erratic; I have a harder time falling and staying asleep and I can use some help drifting off. Lather Quiet Night Relaxing Balm is a lovely mix of Lavender, Ylang Ylang and Calendula in a base of Rosehip, Sunflower Oils and Beeswax. I dip my finger in and pick up a little of this lovely, melts on contact balm and touch it to the back of my neck, my temples and a little under my nose. The gentle scent is so pleasant, soothing and instantly calming, helping me to relax, quiet my mind and drift off to sleep. I can't talk about Lather products without mentioning this gorgeous Lavender Aromatherapy Candle. Formulated with paraffin free 100% Soy Wax, pure Lavender Essential Oil and a Beeswax primed, 100% cotton wick this candle burns clean and throws a lovely, clear lavender scent into the room. This is my current favorite candle. I use it in some of my blog post photographs and I love the scent, while I'm working at taking pictures. Before bed is the perfect time to indulge my bod and hands in some extra pampering moisture, as well. Farmhouse Fresh Whoopie! Cream Shea Butter Whip is a delicious, vanilla creme treat for body. This rich, lightweight cream drops into my skin and goes instantly to work so that I wake up soft from my neck to my toes. Whoopie Cream Shea Butter Hand Cream hydrates and nourishes my hands and cuticles so that they look their very best, which isn't bad, if I do say so, myself. So there we have it, gentle reader. 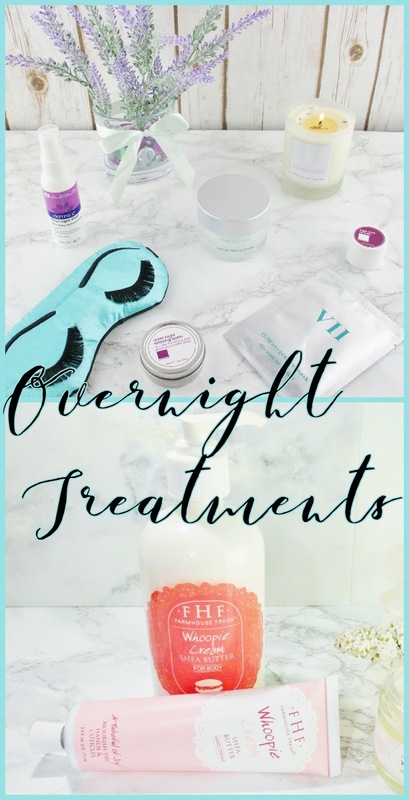 Some of my favorite overnight beauty treatments for soft, and glowing skin. What are your favorite sleepy time treatments? Please share in a comment. And, while you're at it, take a little time to enjoy my fellow Makeup Wars bloggers' get gorgeous goodies. The Inlinkz gallery is below! I knew that I was going to love all of your choices, Erika! The Lather Relaxing Balm sounds scrumptious! I love the Derma E too! I've learned so much about overnight beauty with this series. Definitely a lot of good products that I need to try! I'm now anxious to learn more about the DermaE. How fragranced is it? I'm with you on the Farmhouse Fresh! 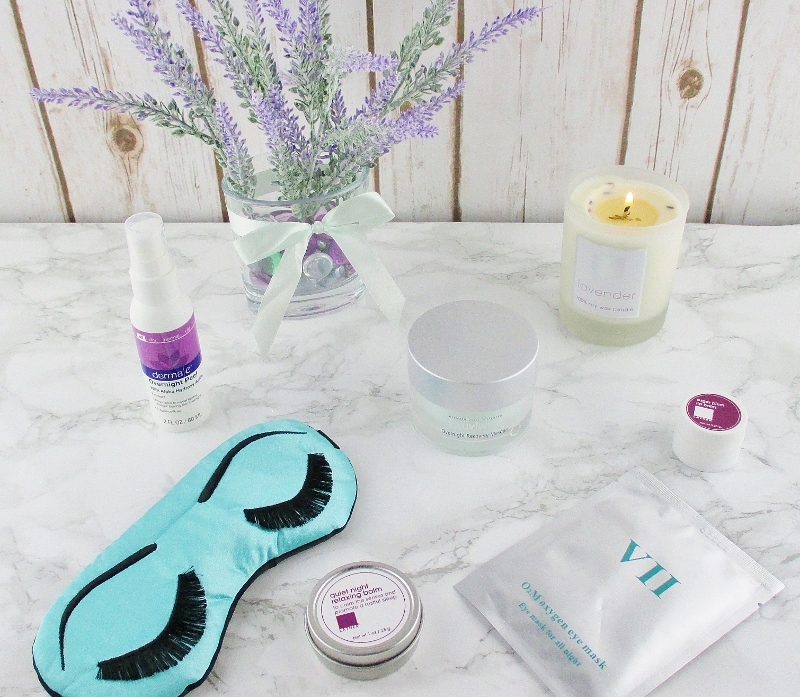 These all look fabulous -- and that eye mask is so adorable! Reading this posts makes me want to try them now. Whoopie cream is my fave from FHF! I need that LATHER balm, I have trouble sleeping every night! Woo for derma e!! I need a good lavender candle!! I so wish I could sleep on my back!! It would help with the wrinkles for sure. These all sound fabulous. I need to start using more of these sleeptime products. I don't use an overnight mask often (it's been getting much warmer lately), but I loved overnight/sleeping masks during the winter/colder times. 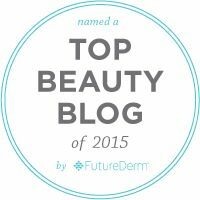 The Derma E peel sounds great! I am all about moisture too, a good lip balm and scrub are nightly for me. Love learning new hydration goods! For overnight, I tend to do a Korean sheet mask and pack on oils. 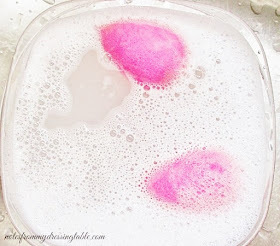 I have loved all the LATHER products I have tried! Good stuff! I just started using the VII mask and love it. My eyes look so much brighter now.